State investigators say through two different dog rescue organizations — All Terrier Rescue, and Rescue Strong Oregon — the Millers used adoption fees for personal use, provided false information on state records, and failed to report millions in revenue to the IRS, while misleading adopters. Investigators also allege that despite claiming no paid employees, the Millers relied on ATR funds to pay for their living and personal expenses, including car payments, groceries and other non-organizational costs. ATR and Rescue Strong sources most of its adoptable animals from shelters in California with high euthanasia rates, according to Rescue Strong's website. 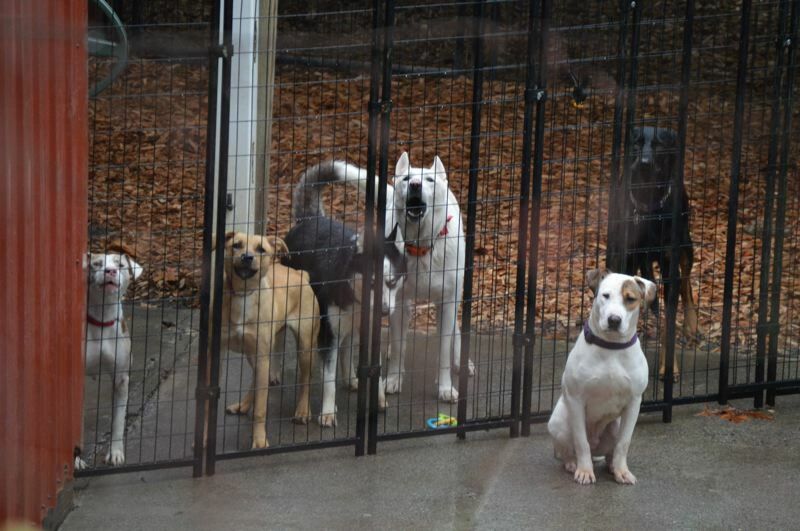 In 2017, the Spotlight reported that ATR was under investigation by the DOJ's charities division after the rescue's adoption practices yielded customer complaints to the state. Complaints on file describe cash-only payments to ATR and rigid contracts to adopt or foster animals for a fee, with stipulations about where the animals could receive medical care. In more than one complaint, customers described signing adoption or foster agreements with ATR during adoption events held at a PetSmart store in Tigard, paying cash, then having ATR demand return of the dogs for breach of contract. One complaint filed in August 2017 alleges a dog was paid for with $320 cash during an adoption event, then became sick shortly afterward. When the adopter tried to take the dog to a veterinarian near her home, ATR demanded the animal back, instructing the woman to instead bring it to a private residence in Aloha for care. When the woman hesitated, Samantha Miller and ATR threatened legal action, the complaint states. "From that point on, the attorneys got involved," Lori Ares wrote in a formal complaint. "I was served court papers and eventually settled outside court by returning the dog and after two weeks she returned the dog to me for another $300." Christine Swanson reached out to the DOJ in 2017 after attempting to help elderly family members adopt a dog from ATR. She said she also grew suspicious of the organization's "cash-only" practices and dog repossession tactics. animals are caught in the middle." Other customers also described contracts forbidding them from posting negative comments or feedback on any social media or web-based review sites like Yelp. At some point after media reports of ATR's practices and subsequent state and county investigations surfaced, the Millers stopped promoting ATR and began operating under an entirely different name. Rescue Strong Oregon was established, and continues to operate twice weekly adoption events in Tigard, in partnership with Hannah the Pet Society, according to the organization's website. "Rescue Strong, Inc. was incorporated by defendants in an attempt to end DOJ's inquiries related to ATR," the DOJ complaint states. "Rescue Strong, Inc. is a sham organization and is simply ATR operating under a different name." Rescue Strong was registered with the Oregon Secretary of State in 2017 using a Scappoose mailing address, a false name and an operations address on Southwest 87th Avenue in Portland, which is the site of a former Vista Pet Hospital. Investigators found that Samantha Miller regularly houses 50 or more dogs at her home in Scappoose, without approval from the county or state, despite state laws that require any rescue organization keeping 10 or more animals on site to maintain records for each animal and obtain proper licensing permits. In 2017, county land development officials confirmed they were investigating Miller's property for violations, but no enforcement action was ever reported. The Millers responded to the complaint through their attorney, Geordie Duckler, who denied much of the DOJ's allegations as "not factual," and alleged the state has no legal grounds to bring charges against the Millers. Duckler could not be reached for additional comment before press time.